N.B. As per my Disclosure Policy this is not a sponsored post. The cameras featured were bought and paid for by me and all of the links are to sites that I am not affiliated with in any way. I’m very much a beginner when it comes to photography. I have a small Olympus point and shoot camera that, up until now, I’ve been using to take my blog photos and a Canon 500D that I’ve owned for a couple of years but I’ve never really been brave enough to take it off of the auto setting and for the last year and a bit it’s lived in my camera bag in the attic! Lately though I’ve been interested in learning how to use the Canon camera properly so that I can take better photos. While we were on holiday I filled my smaller camera with shots from the two wildlife parks we visited. They all looked great on the camera screen but when I uploaded them onto my computer most of them are blurry and poorly lit. See what I mean? I’ve managed to salvage some by using Photoshop but there’s only so much you can fix. It’s such a shame as I was hoping to scrapbook some of the photos as a reminder of the holiday. My Dad is a talented amateur photographer and Hubs knows his way around a DSLR. Whenever they get together they start talking about ISO and apertures and my eyes begin to glaze over. I’ve read the manual that came with the Canon camera but it’s a bit technical for a beginner like me and doesn’t cover the mechanics of combining all of the settings together into a good photo. Thankfully there are plenty of photography tutorials on the internet covering a myriad of topics and skill levels. 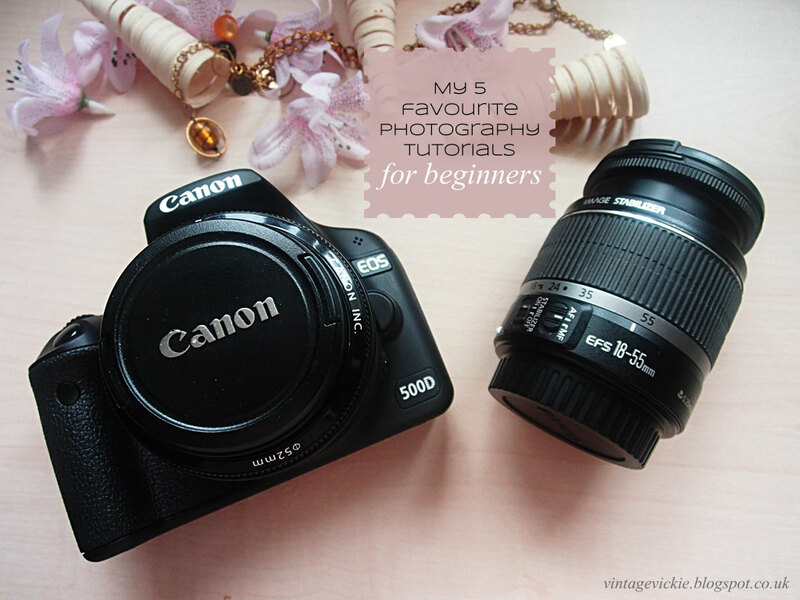 I’ve got five of my favourite beginner tutorials to share with you. Emily Beale Photography ~ Photographing Your Family Emily is a professional photographer and her website has a veritable treasure trove of photography tutorials. They’re all written in a way that is very easy to understand even if you’re completely clueless like me. This Fashion Is Mine ~ Bokeh Photography Tips You know those photos where the background is all blurry but the subject is in focus? That, apparently, is called bokeh and Gwen (another professional photographer) has written a great post on how to achieve that look in your photos. It does mean that you have to be brave and switch your camera to a setting that isn’t auto! Eeek! Temporary Secretary ~ How to work with lighting Sarah is a fashion and beauty blogger whose product photos are great. They’re always nicely composed, which is something I’d like to be able to do myself, and really stand out. There are a few tutorials on her blog and my favourite is all about how to work with lighting. Don’t worry you don’t need any fancy equipment, it’s all about natural lighting and utilising the settings on your camera. Amanda is a talented amateur photographer who takes wonderful photos of her family, crafting projects and places she visits with her husband Kevin. She has kindly shared a whole raft of tutorials on their website and I’ve linked the two I refer to most often. As with most new things it’ll take a lot of practice before my photos start to look more professional but I’ve caught the shutter bug now and I’m looking forward to taking much better photos on our next holiday. Thank you for including me Vickie in your round up. I’m so glad you’ve found my tutorials useful! I am loving your gorgeous website – just beautiful. And don’t be too hard on yourself, your photography is fab!